Established in 2013, Cigna TTK Health Insurance Company Limited is a well-known name in the health insurance sector. The company is a joint venture between the TTK group and Cigna Corporation. It has a wide presence across the country and provides personalized, customer-centric service. Maternity benefits: Cigna TTK health insurance plans are specially designed to incorporate maternity benefits. This includes new born baby cover and vaccination for 1 year. Worldwide cover: The policies are designed to provide extensive coverage at some of the best hospitals across the globe. Customer support team: An expert team of customer care representatives caters to the needs of customers. Be it solving queries, making claims or renewals, support will be provided round the clock. This policy provides comprehensive coverage against major health conditions and comes with good riders for both individuals and families. The Lifestyle Protection plans come in two variants: Critical Care Plan and Accident Care Plan. The Critical Care Plan provides the policyholders the benefit of getting treated in some of the best hospitals abroad and covers 30 major illnesses. The Accident Care plan provides protection against personal accidents. This health insurance policy comes in two variants: Ruby and Diamond. This provides extensive global coverage, provides inpatient, outpatient and AIDS/HIV cover. This health insurance policy is considered as the be all and end all of health insurance policies as it provides very extensive coverage when compared to other plans. The Cigna TTK Hospital Cash Plan is designed to provide a daily cash allowance to the policyholder at the time of hospitalization. Choose the right coverage amount: Depending on personal needs, health situation and financial constraints, choose a coverage option that is right for you. It is not necessary to always opt for a higher sum insured, even a moderate amount that suits personal needs is more than enough. Check the number of exclusions: It always wise to take a note of all the benefits that are not included in the health insurance policy and weigh the pros and cons before making a purchase decision. Read the terms and conditions: Before purchasing a policy, it is very important to thoroughly read the terms and conditions to fully understand what you are getting into. Check the claim settlement ratio: One of the other most crucial factors to look at while buying health insurance is the claim settlement ratio, which is nothing but the number of claims that are successfully approved during a claim year. Claim tracking All claims, be it cashless or reimbursement claims, can be easily tracked at the click of a button through their website. Just key in the claim number, policy number and customer ID to do so.  Newsletter Cigna TTK publishes a health and wellness newsletter that gives customers the opportunity to read a number of articles and posts on health. Renewing an insurance policy is an easy process. Log on to the Cigna TTK website and click on the ‘Renew Now’ option. Fill in details and proceed to make payment towards renewal. Cigna TTK has a pan India network of cashless claim hospitals where customers can benefit from direct health care services at some of the best hospitals without any hassles. Some insurance plans also provide cashless treatment at hospitals outside India. To locate the nearest network hospital, log on to their website and click on the ‘Hospital Locator’ option. My health insurance is with Cigna ttk. The process to get the policy was good. I had no hassles in that. The customer support and response is fine. I received the policy documents on time. The medical coverage is for 5.50 lakhs. I have not checked about the detailed benefits yet. I have also chosen Cigna ttk for the health insurance. The process is pretty simple and there has been no hassles. It is a ProHealth Protect plan. The medical coverage is of Rs. 5,50,000. The premium is nominal too. Good features and benefits too. Cigna TTK is where I have my health insurance. It is a individual policy. The medical coverage is for six and half lakhs. There are features of cashless hospitalization. They also have a tie up with a good network on hospitals. The premium is of 6K on a yearly basis. Since its covers for the maximum disease and i can claim for the OPD charges upto Rs. 2000 also this is the main reason for choosing the Cigna TTK company. I got this policy in January 2018. I have purchased the policy for myself alone. I paid a premium amount of Rs. 4400 for that i have got coverage value of Rs. 5 lakhs. I haven't used the policy yet. The premium is comparatively good than other insurance company. My plan is called Pro helath plus, its an individual plan, its only cover for me. Cigna TTk gave me the medical cover around Rs.5. 5 lakhs, with cashless hospitalization and other benefits. I have been renewing the health insurance policy for past 4 years. I used to receive a regular notification regarding the renewal. I took this policy for myself and my wife. They have given me a coverage amount of Rs. 15 lakhs. The hospital list are good with a cashless facility. I made a premium amount of Rs. 15000 nearly. "Need to know more about the policy"
I have purchased the health insurance policy in the month of June. Because of the claim ratio i have bought the policy. I have taken a plan name of Accidental policy and there will be a terms and conditions. I'm satisfied with the hospital list. I have got the policy documents within a week. The critical illness policy is not applicable for 3 months and I'm not sure about the policy details. In my location, most of the familiar hospitals has been covered. The process of doing the claim is pathetic. To approach to the claim process is very bad. I have to visit their branch for submitting the documents, They have to assign a person for submitting the documents. There is no proper acknowledge after submission of documents however the claim was very nice. Within 10 days my claim got settled. I have submitted the claim amount of Rs. 44000 and they have approved for Rs. 42,900. The problem in the hospital, they do not have a cashless treatment facility. I have no experience in any claim. I have taken my health insurance through online. There is a monthly expenditure which is not covered in the policy if hospitalized happened i can avail the cashless facility. Probably 1 year back, i have taken this policy for a whole family. I made a premium amount of Rs. 16000. Their customer care service is prompt. I have received the medical card and soft copy. My health insurance policy with Cigna TTK. I had taken the health insurance policy 4 years before and i'm just renewing the policy 2 days before. Since I'm working as a advisor in Cigna TTK, i have just taken the policy with them. They have offered me a coverage amount of Rs. 3 lakhs. I used to pay the premium amount of Rs. 10 K and i have taken this policy only for me. There is no such reason for purchasing the health insurance policy with CIGNA TTK HEALTH INSURANCE and the premium is nominal when compared o the other policies. Medical coverage is 3lakhs which gives coverage for my family added on that it gives the coverage for pre existing disease coverage.